For 2015, integrators report solid 9.1% revenue growth, with a strong increase in the number of projects and revenue per job. 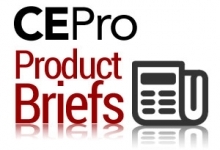 Controlled growth and measured expectations are the terms of the year for 2015 and 2016, according to research from CE Pro, the leading trade publication for the home technology channel. Following two years of strong double-digit growth, the custom electronics industry came ever so close for a third year, but still the typical home technology integration firm reported solid revenue increases of 9.1 percent in 2015. That increase puts the median revenues for an installation company at $896,256, including both residential and commercial projects. Given how hard the industry overall was hit by the recession, the comeback is quite remarkable.